If your con provides a shuttle service, definitely take advantage of it. Chances are, if you made your reservations for your hotel as part of the con block, your hotel has a shuttle service you can use to get to your hotel and the convention site. If you are in a really good transit city you can also use public transit as an adjunct, or consider using public transit as your mainstay way to get around. Taxis are a rip off, period. If you are going to use a ride hailing service, Lyft is the one that I have personally found is the friendliest and most trustworthy one. However, Lyft does add up, and you will likely have to deal with demand pricing if you are going to a really big con. Extra underwear and socks are always a must. If you are cosplaying, bring along a set of street clothes to change into should you decide you’ve had enough of wearing your cosplay. Convention arenas almost never have enough seating, so be prepared to lean on a wall or cop a squat on the floor to eat lunch, too. Unless you’re planning to cosplay, dress for comfort above all. Hell, it’s the perfect time to wear your comfy and nerdy t-shirts and leggings. POCKETS ARE EVERYTHING! This should include socks and sensible shoes. You’ll be walking A LOT and probably standing in some long lines, so good footwear is key. If you are stuck wearing stiletto heels or big clunky platforms, be prepared with alternate shoes or slipper socks. Read your con’s Code of Conduct and Peace Bonding policy carefully. Then TAKE IT TO HEART. Considering liability and other legal considerations, that Code of Conduct has been drawn up to prevent you and the con from getting into serious legal trouble should the code be breached. The con mantra is always “cosplay is not consent.” This goes for a no-touchy policy, of course, but also just for common courtesy of photo-taking, too. Ask permission for pictures and selfies, always. Don’t make indecent proposals or catcall. There are SO MANY awesome folks who are willing to take a photo with you, just be cool and ask nicely first. And enjoy the spectacle and artistry. That stuff takes time, talent, skill, and money — feel free to tell them they rock. If you’re interested, try to attend the cosplay contests that usually take place in the evening. They’re a lot of fun to watch. Spend some time outside and near the convention entrances. That’s where a lot of the cosplayers are getting photographed in mass. Again, be kind about it. Peace Bonding is likely to be much tighter now than it has been in the past because of prior incidents involving a jilted boyfriend who went to a con packing major heat. You might not be able to bring your weapons, even painted, wooden, non-firing ones or impossible sci-fi ones. When in doubt, DON’T. Honestly, it’s no fun having stuff confiscated. Check out the convention schedule and try to nab a seat at a panel that sounds fun to you. If it’s a panel involving a celebrity, be prepared to get there early to get a seat. They fill up fast. This is where being a VIP comes in handy. Be prepared to miss panels and events. Get your tickets for ticketed events in advance. Use the app version of the con program instead of relying on the printed or Web version, because it will be updated more regularly than the other versions. Carolina Fear Fest App is coming soon! Conventions have great programming surrounding celebrities, artists, fandoms, and all kinds of creative endeavors. Pop culture conventions are where you’ll get to meet your fandom heroes, if that’s your thing. Places like San Diego Comic-Con certainly have a huge breadth of celebrity cred, but almost all local conventions also attract great guests. Check out the lineup at your local event (trust me, it’ll be the main information on their website), and see if you can afford a photo opportunity or autograph, preregister if you can for the most popular celebs. If not, definitely try to hit up their respective panels, if they’re offering one. Don’t be nervous, they’re almost always super cool about meeting fans, but know that it’s a long day for them, too. Conventions have lots of booths with collectibles, toys, comic books, artwork, and activities. Some brands will offer con exclusives in limited supply. Make sure to head in there as early as you can if you want to score some of the more rare items. One place on which I absolutely recommend spending that money is with artists. Independent artists showing off their work and selling their creations is my favorite part, and where I end up shelling out the most cash. You’ll see manufactured artwork all over, but artists are where the awesome indie folks are. Fill your house with original art and prints. It is time-honored among old-timer geeks because it works. Six hours of sleep a night, at least two meals a day, and ONE SHOWER. Do not skimp on any of these, especially not the shower. You will likely be so keyed up you won’t be able to sleep more than six hours. You might miss a meal, especially in cities that are overly crowded because of con, but no amount of deodorant, anti-perspirant, towelettes, Febreeze, and especially NOT Axe, will replace that shower. You don’t want to be offending your fellow con-goers with your funk. 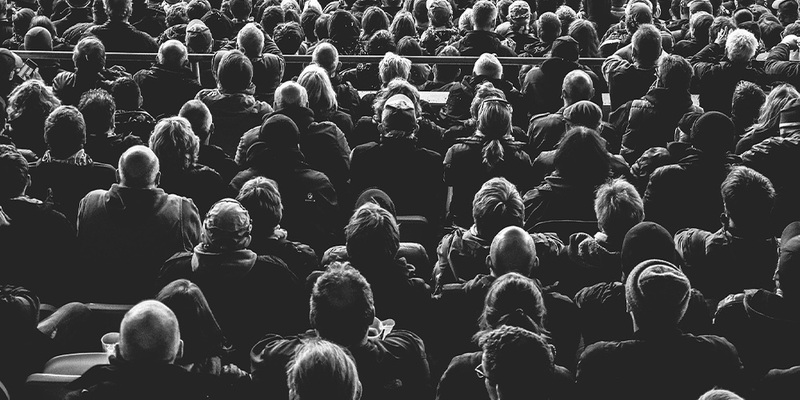 Conventions are going to be crowded — it’s not for those who fear people in masse, but there are times where it’s a little less crowded. For a weekend con, hit up later on Sunday. Saturdays will definitely be the most crowded (and also when the best programming is going on!). There’s usually a consensus among con-goers that if you bump into them, smoosh their feet, or generally get in someone’s way, it’ll all be cool. So keep your spirits high when you inevitable bash into a crowd of gawkers. People-to-people contact will happen, so try to roll with it and don’t get riled up. Additionally, keep your hands washed and some hand sanitizer on hand just to avoid catching any ConFlu among all of those crowds. Conventions are petri dishes for colds, flu, gastroenteritis, and other gross diseases. However, you can cut your chances of coming home with unwanted hitchhikers (think the end of the Haunted Mansion ride) if you follow these rules. Some people swear by Airborne, some people (like me) swear by Emergen-C, but there is no scientific evidence for either beyond the anecdotal. There are a thousand and one ways of experiencing Con Fail. We don’t have to go into them all. But I hope I have helped you on how to avoid it, get maximum enjoyment, and experience minimum pain. I’ve gone to these events for and I’ve learned a fair amount of things that can be helpful. I am also still learning as each and every Con can be very different and unique. Now go out there and enjoy your CON! Thanks to Jaded Nitemare Ninja for these great convention tips & tricks! You can also read her Cosplay Etiquette Guide. 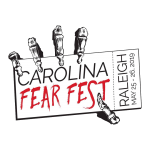 Learn more about Carolina Fear Fest’s rules and policies here.